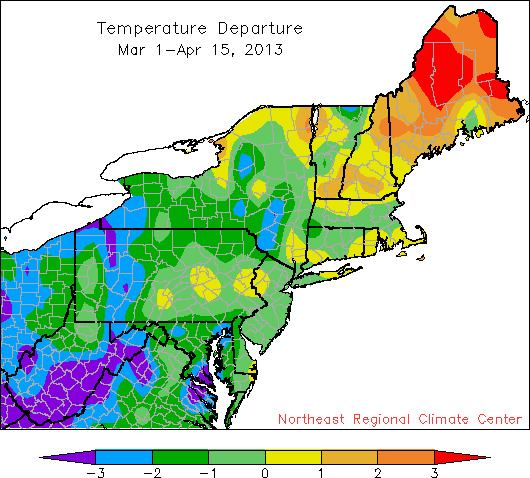 So far, spring temperatures have ranged from more than 3°F below normal to more than 3°F above normal. 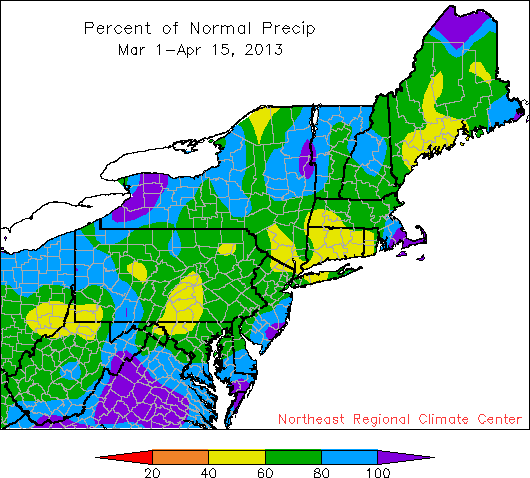 Precipitation has been lacking during the first half of spring for much of the Northeast. At the halfway point of meteorological spring, temperatures are still below normal at 31 of 35 first-order climate sites. In terms of departure from normal, Beckley, WV, remains the coolest site at 4.0° below average while Caribou, ME, remains the warmest at +2.7°. As for precipitation, all 35 climate sites are drier than normal for the period of March 1 through April 15. 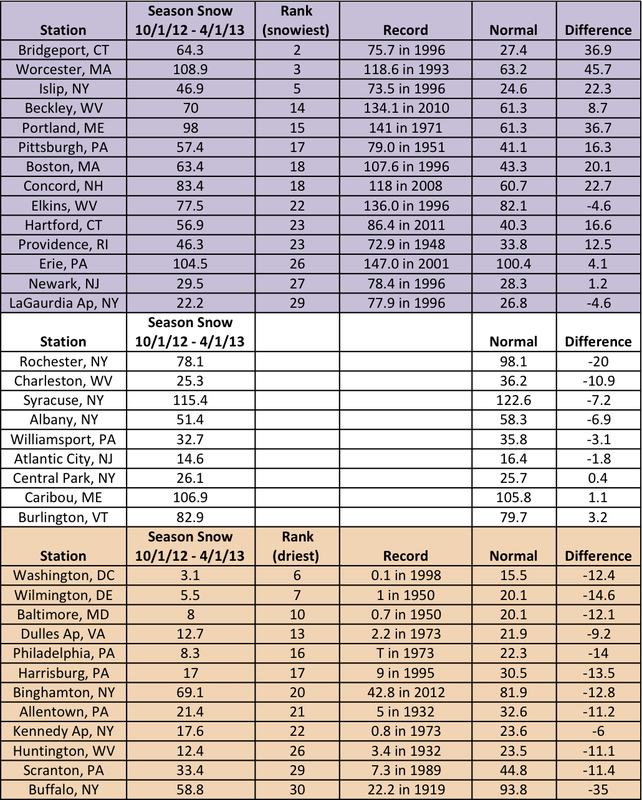 In fact, 21 sites rank the first half of Spring 2013 as one of their 27 driest. Snowfall has been hit-or-miss as 15 sites are above normal for total snow for the first half of spring while 20 sites are below. 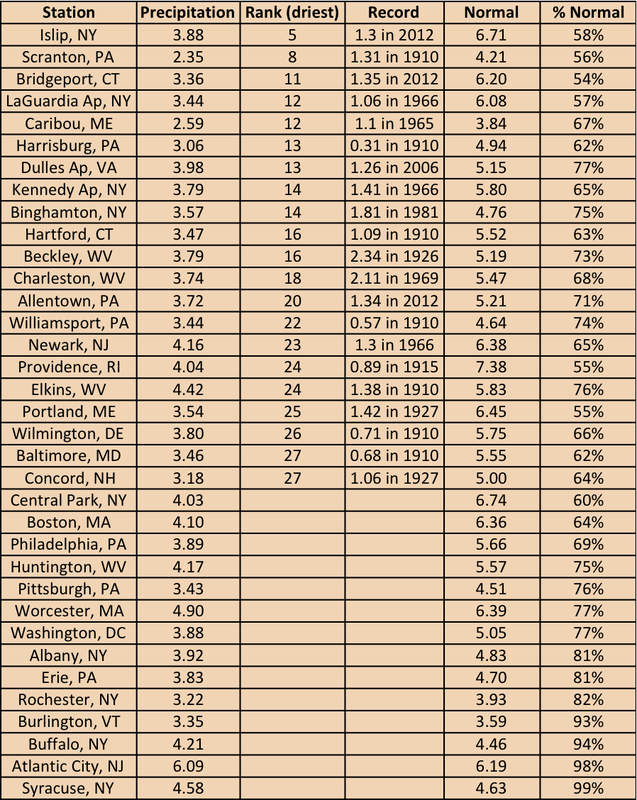 Of the below normal sites, 16 rank the period as one of their top 30 least snowy. When expanding to the entire snow season so far (October 1 through April 15), results remain split. 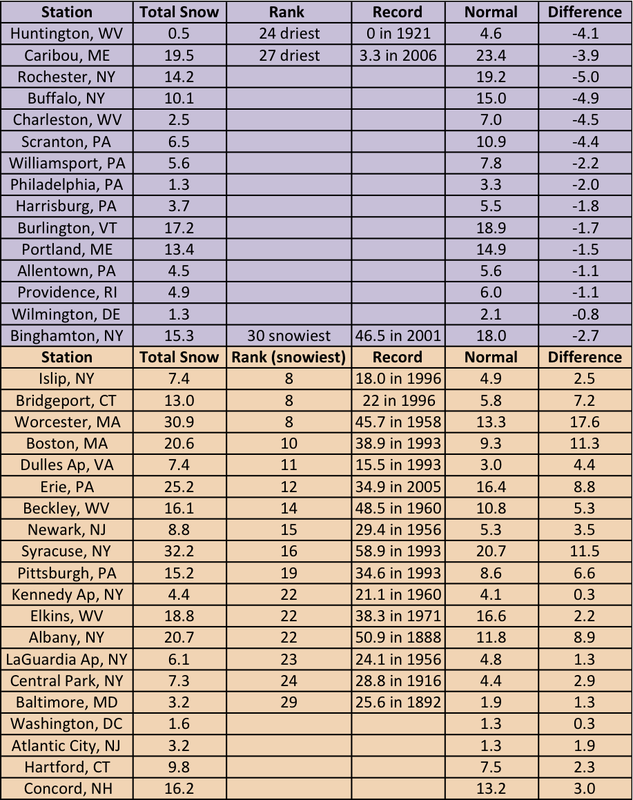 Fifteen sites are above normal for snowfall with 14 of the sites ranking the season as one of the top 30 snowiest. 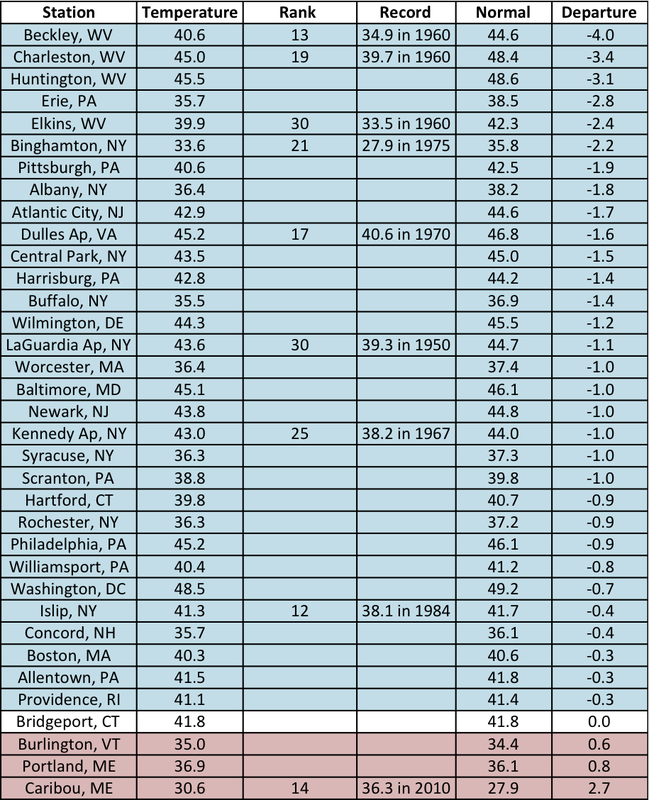 However, 20 sites are below normal for snowfall with 12 of the sites ranking the season in their top 30 least snowy.